Is Brown's Pension Reform Sustainable? We are told, with good reason, that the current pension system for public workers in California is unsustainable. But many of the reforms may be unsustainable too. That, sadly, is true of the plan offered Thursday by Gov. Jerry Brown. Brown’s plan has many good ideas in it, including raising the retirement age for workers who want to receive full benefits (a change that a 73-year-old governor is in a strong position to make) and curbing some abuses in the current system. 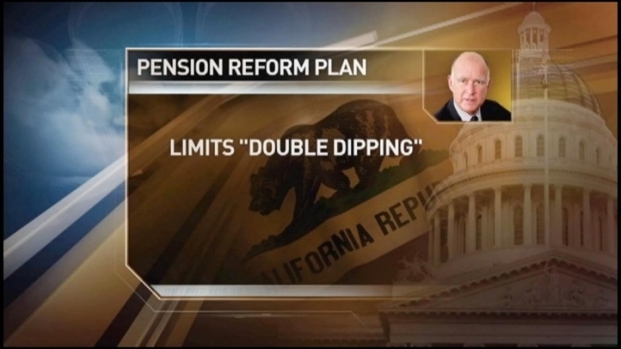 But there’s a problem at its core: Brown’s plan – like most other pension reforms in California – would create a two-tiered pension system. Which is to say: the current system remains in place for current retirees and employees (albeit with requirements that current employees contribute more to their pensions). But a new, less generous system is put in place for new employees. These two-tiered systems are seen as legally necessary, since there are enormous legal obstacles to taking away a pension benefit that has already been promised to a current worker. Many would-be reformers have concluded that the only possible approach is to stick to reducing the benefits of people who haven't been hired yet. Republicans react to the signing of the budget this week by Governor Jerry Brown. 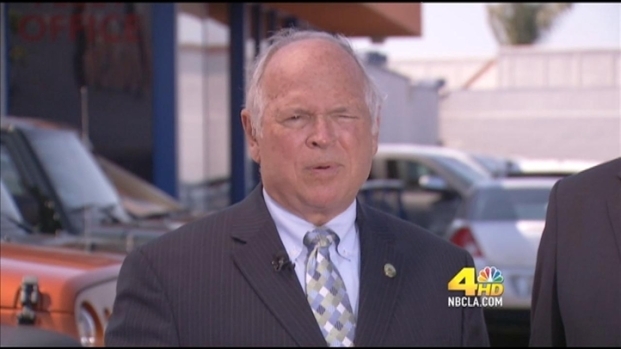 Assemblyman Don Wagner (R-Irvine) calls the budget hearings a sham. Assembly Jim Silva (R-Huntington Beach) says republicans were not opposed to putting tax hikes on the ballot, but they wanted certain things to go along with that it like pension reform. The trouble is that fashioning a proposal to meet this legal reality undermines the entire reform. How’s that? Because two-tiered systems don’t save much money and they don't last. As Mark Paul and Micah Weinberg have pointed out, a reform that gets all its savings from new workers doesn't produce much in savings in an era when governments aren't hiring many new workers. And, as a structural matter, two-tiered systems are unstable. People are dissatisfied when they work in the same office in the same job but receive vastly different benefits packages. Eventually, when the economy improves and governments have more revenues, the second tier disappears and everyone is given the same thing. If you don’t think that will happen, all you have to do is look at recent California history. Early ‘90s pension reforms created a two-tier pension system, but by the end of the decade, the economy had improved and the two tiers became one. The same thing has happened in other places that have tried two-tiered systems. While it is much more difficult, the better way is to enter into negotiations and pressure labor – relentlessly – to accept cuts in benefits for current workers so that new workers can enter the same system. The advantage? Savings from this kind of reform, unlike the two-tiered reform proposals we’re seeing, are likely to last. And if the current system is redesigned to save money and be sustainable, private workers and employers should be allowed to participate as well. Can Brown Deliver on Pension Reform?